Well they just announced Juan Orlando Hernandez as president-elect on Sunday and the people are losing it. They are setting fires in the street. This is another example of how the CIA can screw up a country. JOH is not a good man. The people have been protesting for him to resign since the news revealed he was taking money from the people's medical system for his own political purposes back in 2015. He lost the recent election, refused to step down and had the military tamper with the remaining ballots. Fascism and Communism are BOTH bad. Opposing democracy is NEVER a good thing. Neither is supporting voter fraud. That is inexcusable. 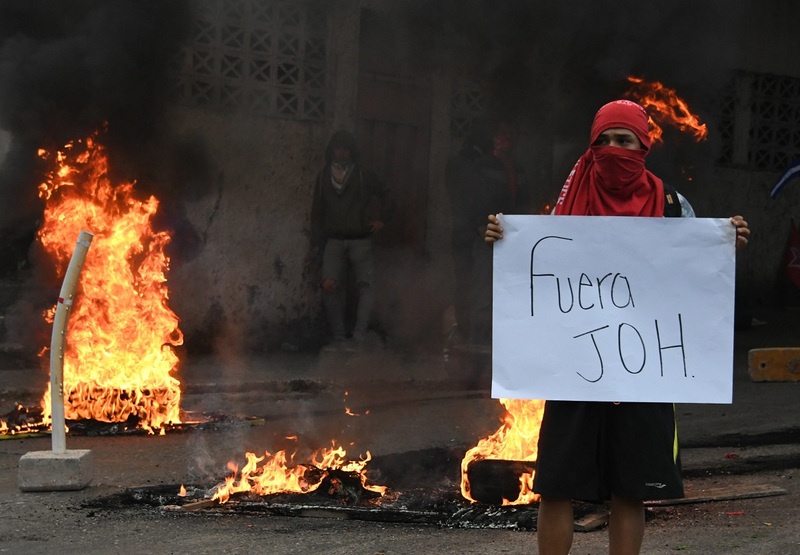 CNN is reporting that "The Organization of American States called for new presidential elections in Honduras after finding copious irregularities in its electoral process." The OAS is a regional non-partisan organization comprising 35 countries. They stopped counting the votes right before JOH lost the election. Then they sent the military to collect all the votes from the rural areas and the results mysteriously changed. JOH tampered with the remaining ballots then had observes count what was left of the tampered ballots.